“Complete Organic Nutrition for Children” – for those days when you just don’t want to eat, don’t have time to eat, or for the children (and some adults) who just won’t eat. I recently received some samples of Orgain Organic Nutritional Shakes. These are the first nutrition shakes I’ve seen to have fruit and vegetable blends with the proteins/carbs/vitamins. Blueberry, acai, kale, beets, and some of their friends are hiding inside the creamy drink. There are 16 grams of protein, as well as some fiber, packed in these shakes. We really liked the strawberries and cream. It had a tasty, light strawberry flavor with a teeny tiny barely perceptible aftertaste. I recently tried a protein shake with a huge aftertaste, so this means a lot to me. It definitely makes for a nice, easy, nutritious breakfast on the run, something I find myself often doing. Orgain comes in 4 flavors: strawberries and cream, iced cafe mocha, creamy chocolate fudge, and sweet vanilla bean. 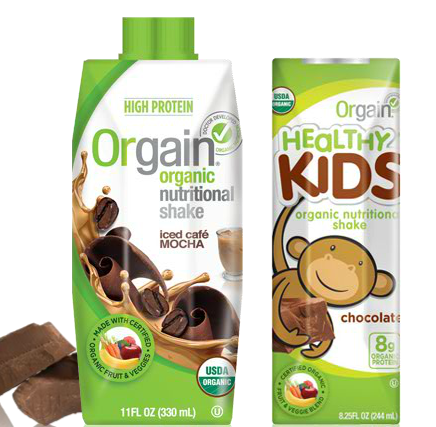 The Orgain Healthy Kids comes in 3 flavors: chocolate, vanilla, and strawberry. 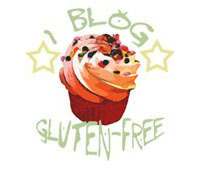 They are gluten-free and certified organic, and the only “top 8” allergen is milk. They are also corn-free. They are available at Whole Foods Market, Rite Aid, Wegman’s and The Vitamin Shoppe, as well as on-line at www.orgain.com.